← We’ve found our new beach! I’ve joked in the past that “drawing to me is like being forcefed cruciferous vegetables for those who hate them.” Bear in mind, I love them (vegetables), but that’s neither here nor there. As I’ve traveled this art journey of splendor and tactile and visual delights, I’ve done my damndest to avoid drawing at all costs. It’s why I gravitated toward acrylics and now oils. When things don’t look right, I’d just slap more paint over them to make it right. But lately, I’ve accepted if I want to really, REALLY improve, I cannot be afraid of and avoid drawing. So… I’ve been tooling around with some great books of late, and sketchpads, the Ipad and other instruments to record what I see. The first and foremost book I’m talking about, is of course Drawing on the Right Side of the Brain by Betty Edwards. This book was instrumental in giving me confidence to draw and push myself, but even more, to enjoy drawing in and of itself. So, after that wonderful trek into pencil and paperland, I ventured to ye olde local library and discovered another great gem: Expressive Drawing by Steven Aimone. I can’t tell you what a spectacular book this is! I’m taking my time with it but love, love, love the adventures it has exposed me to. The photo at the top is something I did based on his book and I apologize for the lack of modesty, but I find it exciting! You may not, and that’s fine as art is purely subjective. But after I did this work, I really could not take my eyes off it! I find it offers nuance and hints of things that could be there, but might not be. So I have a question for you now. What book has changed your art life? 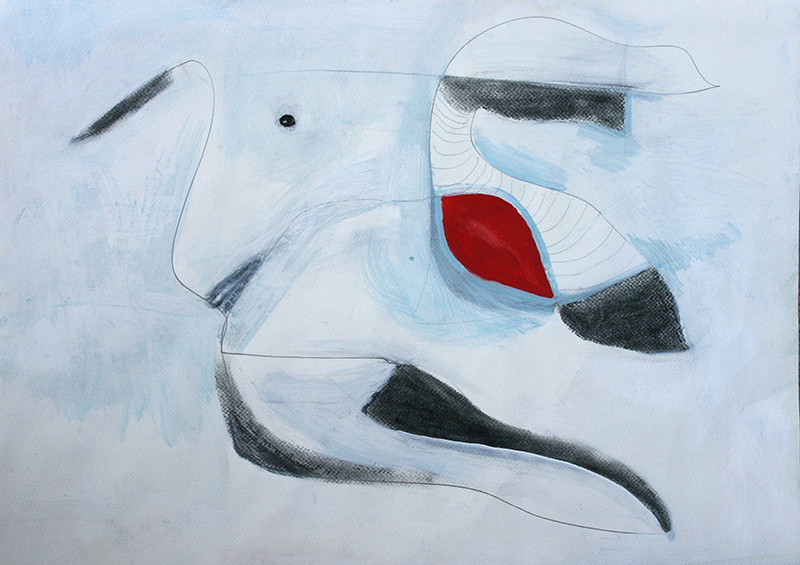 This entry was posted in art and tagged abstract, Betty Edwards, drawing, Steven Aimone. Bookmark the permalink.